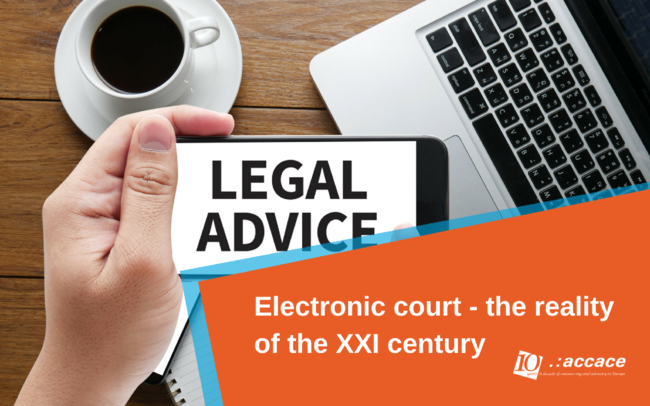 "Electronic Court" in Ukraine – a reality of the XXI century! Ukraine has proven its determination once again, to take a place as one of the leading countries with a developed IT sector. Therefore, today we can be the witness of the “Electronic Court” project birth in Ukraine. The Electronic Court was introduced in many countries: Poland, United States, Estonia etc. We can confidently assert that Ukraine actively develops the way to participate in the process through using the information technology. Evidence of the rapid development of the project is a court summons direction by SMS and the possibility to use Skype for the interrogation. Actively develops the service of electronically sending of the judicial documents. Today this service occur simultaneously with the sending documents in paper form. In order to receive the service as part of an electronic court, you should go through the registration online: http://mail.gov.ua/. It should be noted that since the registration in the automated system of the court, all procedural documents dedicated to the process which will be sent to the system, immediately after binding with a judge’s electronic signature, are automatically sent to the mailbox of the participant and will be available to such party within one hour. Electronic court provides the opportunity not only exchange procedural documents between the court and stakeholders, but also the ability to apply the procedural documents in an open appeal proceedings, to obtain information about bankruptcy, to pay the court fees online, etc. Let’s talk about how we can work together!